The Wisconsin Partnership Program supports community-driven work and recognizes that successful research and interventions depend on engaging communities as partners. Since its creation in 2004, the Wisconsin Partnership Program has infused more than $96 million in grant funding into nearly 300 community organizations and initiatives across the state. Watch videos to learn how our community partners are working to improve health equity in Wisconsin. These grants have helped implement a wide range of initiatives that align with the Wisconsin Idea and work toward the Partnership Program's overarching goal of improving the health and well-being of Wisconsinites. 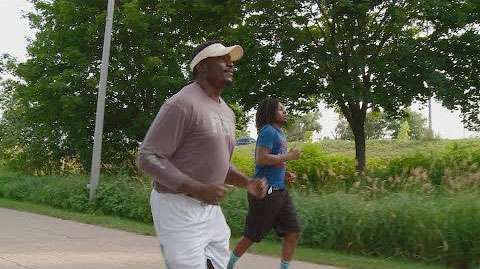 The Partnership Program currently administers three competitive community grant programs, each with a unique approach toward improving the health of the people of Wisconsin. Community Catalyst Grants provide funding to support creative health equity approaches, designed with the goal of actively reducing gaps in access, outcomes or opportunities. Catalyst Grants are intended to support projects with clear focus, a well-defined audience and an innovative plan to reduce inequities. Community Collaboration Grants provide organizations with training and technical assistance to address health inequities stemming from the social determinants of health. To be eligible, organizations must be led by the community impacted by the inequities, have limited access to resources and face high health equity needs in their community. Community Impact Grants provide up to $1 million over five years to support large-scale, evidence-based, community-academic partnerships aimed at achieving sustainable policy, systems and/or environmental changes that will improve health, health-equity and well-being in Wisconsin. The Catalyst Grant Program was created to provide catalyst funding to support creative health equity approaches designed with the goal of actively reducing gaps in access, outcomes or opportunities. Questions about the Community Catalyst Grant Program? Visit our grant resources page for other helpful materials and links. Sign up for E-news and funding alerts. Applicant eligibility: The applicant for this grant program must be a either a Wisconsin-based, nonprofit, tax exempt, 501(c)(3) organization, tribe or government entity. Foundations are not eligible to apply for this award. Applicants can only apply for one Catalyst Grant at a time. The Community Collaboration grant program is a collaboration between and among grantees, the Partnership Program, and other UW System partners to bring the knowledge of community partners to the university, and to bring the resources of the university to community grantees—the Wisconsin Idea in action. The goal of this grant program is to learn from and build trust with communities to advance health equity by collaboratively enhancing capacity, and increasing and strengthening partnership by working closely with grantees and providing training, technical assistance and funding. Grantees receive support as they strengthen and expand current assets and partnerships, build their infrastructure, and take action towards sustainable change. Questions about the Community Collaboration Grant Program? Grant awards: The maximum award for this grant is $400,000, over up to four years. The Partnership Program anticipates making up to five awards in 2019. Applicant eligibility: This grant program brings the resources of the University of Wisconsin to communities statewide by connecting grantees with potential academic partners, programs and resources. Eligibility requirements for the Community Collaboration Grants Program reflect our commitment to supporting organizations led by communities facing significant inequities. Be either a Wisconsin-based, nonprofit, tax exempt, 501(c)(3) organization, tribe or government entity. Foundations and fiscal agents are not eligible to apply. Be led by the community impacted by health inequities. The Partnership Program believes that improving health outcomes means shifting the upstream conditions that create these inequities and those solutions need to be driven by communities most impacted by inequities. The request for partnerships is designed to address the overall health, health equity and well-being of Wisconsin communities through support for large-scale, evidence-based, community-academic partnership initiatives. These partnerships require substantial community engagement to achieve sustained policy, system and environmental change, and must be supported by robust evaluation and effective dissemination. The application process involves three-stages including an online initial application, an in-person presentation to the Oversight and Advisory Committee, and a final proposal (see below for funding cycle time line). Progressing to the second and third stages is invitation-only. Questions about the Community Impact Grant Program? Applicant eligibility: Eligibility requirements for the Community Impact Grants Program reflect the Oversight and Advisory Committee’s focus on funding projects with significant potential for impact. Please see the RfP and the Additional Information section (pdf) for explanations and further detail. While many organizations that engage in public health and well-being efforts may not meet the “lead community applicant” eligibility criteria for this specific funding mechanism, they may still participate in the proposed work as partners and collaborators.